The Executive and Conference Committees of the Tri-State Consortium of Opportunity Programs in Higher Education coordinate a major conference every other year. The 14th Biennial Tri-State Conference will take place next year. State programs are conducted regularly. 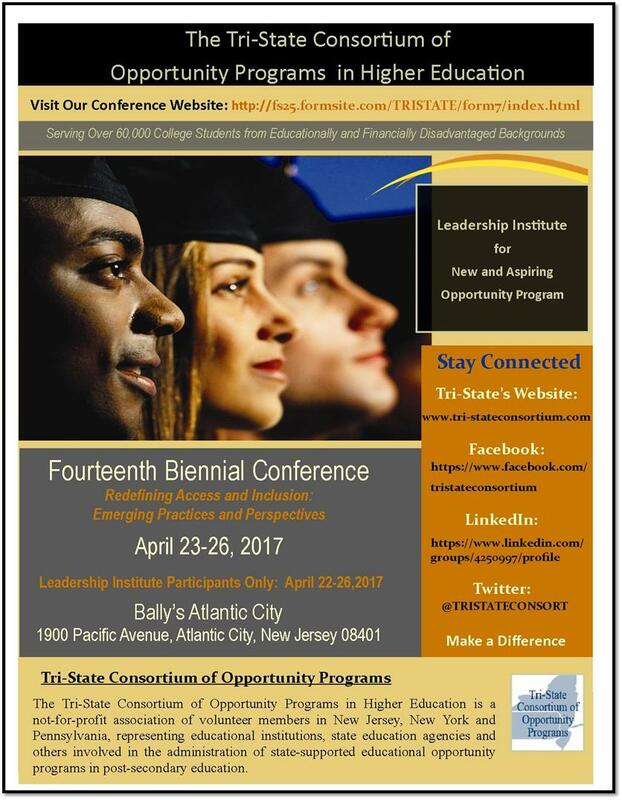 The 14th Biennial Conference will take place April 23-26, 2017 at Bally’s Atlantic City, 1900 Pacific Avenue Atlantic City, NJ 08401. The conference links will take you to an online form. Registration: Please reserve your spot now! Speaker and other details will be added as they are confirmed.